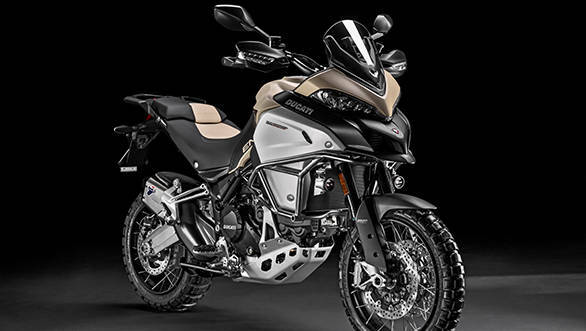 Ducati India has confirmed that the new Multistrada 1200 Enduro Pro will go on sale in India. The company has also stated that bookings for the bike have begun across all Ducati dealerships in the country. The prices have not been announced yet as Ducati is set to roll out post GST prices soon. We've been told that the Multistrada 1200 Enduro Pro will be a 100 per cent CBU import from Ducati's Italian factory, which means that there will be a significant price gap between the Pro and other Multistrada 1200s - S and Enduro. The Pro will end up as the most expensive Multistrada 1200 on sale in India. The new Multistrada 1200 Enduro Pro gets a raft of features that make it a lot more off-road focused than the standard 1200 Enduro. The Pro gets a new sand colour paint job and dual-tone seats. The subframe, clutch and alternator covers have also been blacked out to contrast with the lighter sand shade. The height of the screen has been shortened to offer the rider an unrestricted view of the path ahead. The bike also gets special crash protection in the form of a Touratech bull bar that comes with LED auxiliary lights. The party piece, however, has to be the Termignoni exhaust that'll surely enhance the sound from the 1,198.4cc, Testastretta DVT, L-Twin motor. 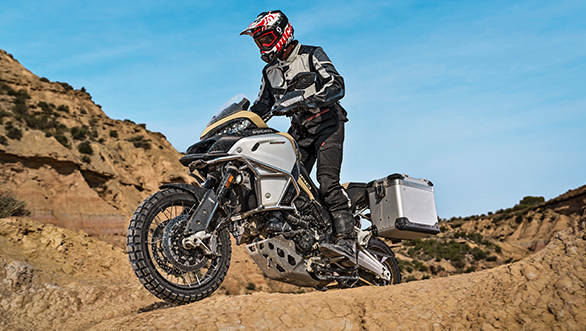 The Multistrada 1200 Enduro Pro's off-road ability has also been enhanced by the standard Pirelli Scorpion Rally tyres which are said to offer adequate grip in asphalt. The Enduro Pro also gets the same set of electronics that are present on the Enduro, which includes cornering ABS, Ducati Traction Control (DTC), Ducati Wheelie Control (DWC), Ducati Cornering Lights (DCL) and Ducati Skyhook Suspension (DSS) Evolution system.